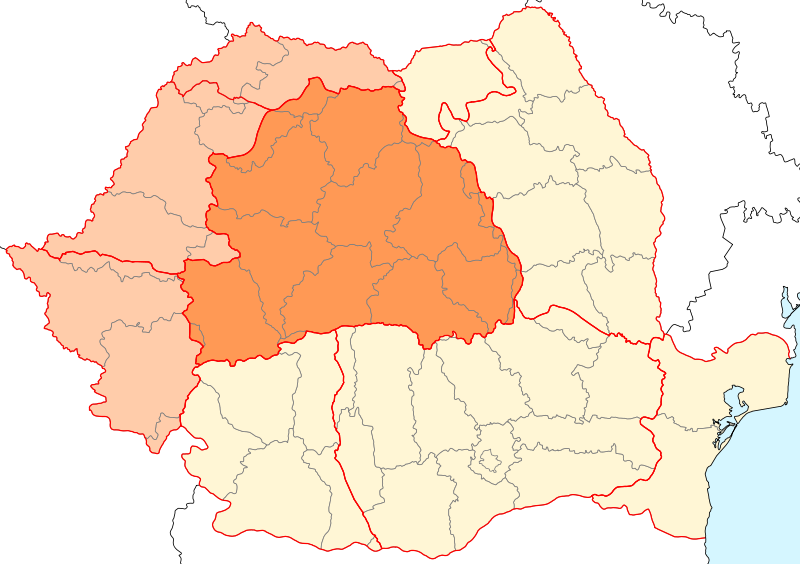 Timisoara (Romanian), Temesvár (Hungarian), Temeschburg, Temeswar, or Temeschwar (German) is a lovely city located close to the border of Hungary. It is also, like its counterpart of Brasov, a city with strong German influence, though this time not of the Saxons, but of the Austrian Empire. This time, there is more multicultural diversity in the city. It is known to some people as "little Vienna" due to the buildings that are there. This was one of the centers of the Hapsburg monarchy. I would have to say since it was close to the border of Hungary (in Hungary at the time) it still is influenced by by this link. Even today one feels that they are stepping into the past with all its old baroque style buildings. It is the second largest city in Romania. 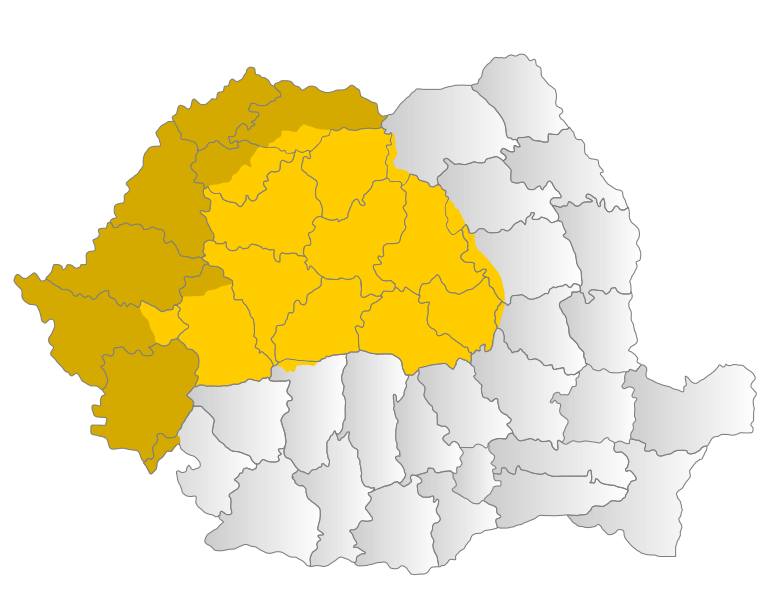 In the last census, done by the Romanian government, I would also suggest that it is still the most multicultural city in the area, with many Germans, Hungarians, Bulgarians, Jews, Serbs, Roma, and Slovaks living within the city borders. This is along with the Romanian population living there. The places I would want to see in this area are: the Bega canal, some of the old administrative buildings, and of course, the old city. Of the more modern places: the Iulius Mall. I think Timisoara shows the beauty of economy and the intelligence of the world in loving this city, and Transylvania. I love that you're doing a blog about Transylvania, which is one of my favorite places in the world. Timisoara, to me, is the busiest city in Transylvania that I've been to. There's so much life, from the brightly-clothed gypsies on corners, to the large malls and shopping centers, traffic and clubs, to the wandering dogs and street children sniffing glue at night. My friends from Timisoara are incredibly hyperactive (by inactive American standards), and spend much of their time getting into trouble. Timisoara, as you probably know, is the city where the Revolution in '89 first took place, and this has exacerbated its troubled relationship with Budapest, the country's capital in the east. Some have called it the most Western city in Romania, despite the huge, new Orthodox Cathedral at the end of Revolution square, where many people were killed by the securitatae in the December '89 revolution. The square now holds many, many shops, as if in tribute to the ensuing onslaught of capitalism/globalism which Romania seems to have embraced. Anyway, enjoying your blog! Thank you for posting! Thanks so much for this comment, It really adds to the blog. Keep it up! Chris: "[...] Budapest, the country's capital in the east". Ay, capul meu! I can't believe I did that. I have so often looked down on people who made the same mistake, and here in my enthusiasm, I also called Bucharest Budapest. Imi pare rau si scuzati!